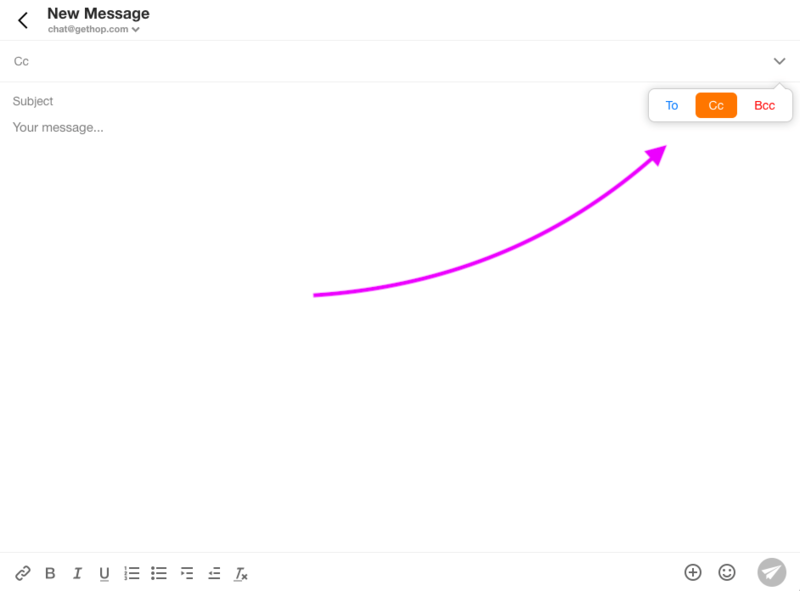 Tap on the ‘New Message’ icon that’s shaped like a pen or use your existing message. Next, pick your recipient or recipients. 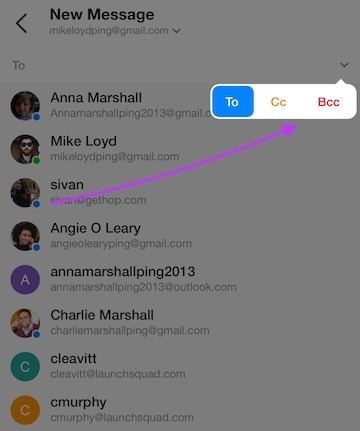 Once you’ve selected who to message, you can Cc or Bcc by tapping on the small downward arrow that’s located to the right of your selected contacts. Click on the recipient you wish to Cc or Bcc and a window will appear with the options. Write your recipients name normally. How can I send an encrypted message?